Augmented Reality (AR) is one of the fastest emerging innovations impacting the potential uses of mobile technologies for teaching and learning (Ali, 2017; Scott, 2017). AR allows learners to interact with their surrounding environment by augmenting the environment with access to digital resources. AR can be used to enhance field trips or location-based learning experiences (Ali, 2017; Ozmdamli & Hursen, 2017; Richardson, Sammons & Delparte, 2017; VirtualiTeach, 2017; Yoder, 2016). 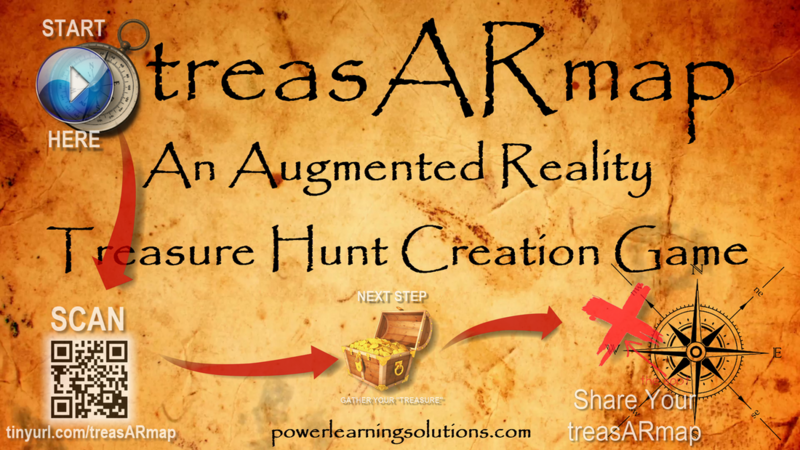 This workshop session will show educators how to use free tools to create an AR “treasure map.” The treasARmap “formula” can be used to provide learners with questions, clues, problems, and location or task-specific resources to guide them through a unique, gamified learning journey. Participants in this workshop will learn how to use free poster or infographic making tools, such as Canva 2018), to first create their treasure map. Then, they will learn how to augment that map with interactive AR layers using a free Aurasma Studio account (Aurasma, 2017a, b). Finally, participants will learn how their students can access their treasARmap using the free HP Reveal (2018) AR app (available for the Android and iOS mobile platforms). This workshop session will provide participants with hands-on experience using free tools to create Augmented Reality resources for use as mobile learning experiences. The target audience for this workshop session includes teachers, higher education instructors, and anyone interested in creating and using Augmented Reality objects to enhance formal and informal teaching and learning.